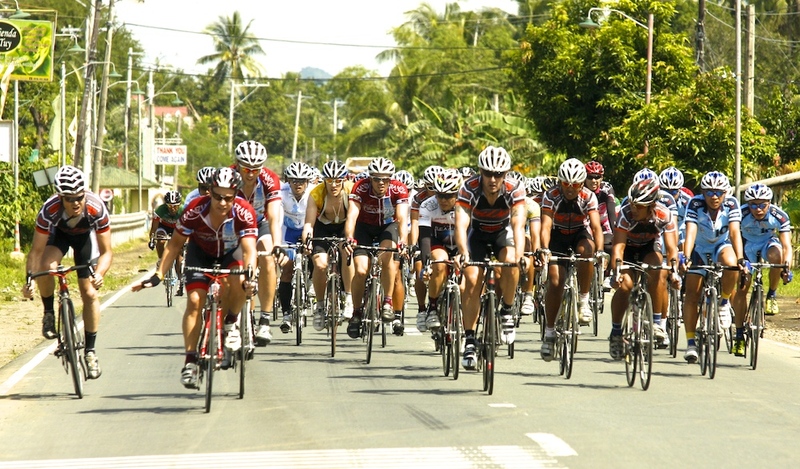 The Tour of Matabungkay was an action-packed weekend for cyclists and I recommend this tour and any other stage race in the Philippines for those of you contemplating racing in new and exotic countries. 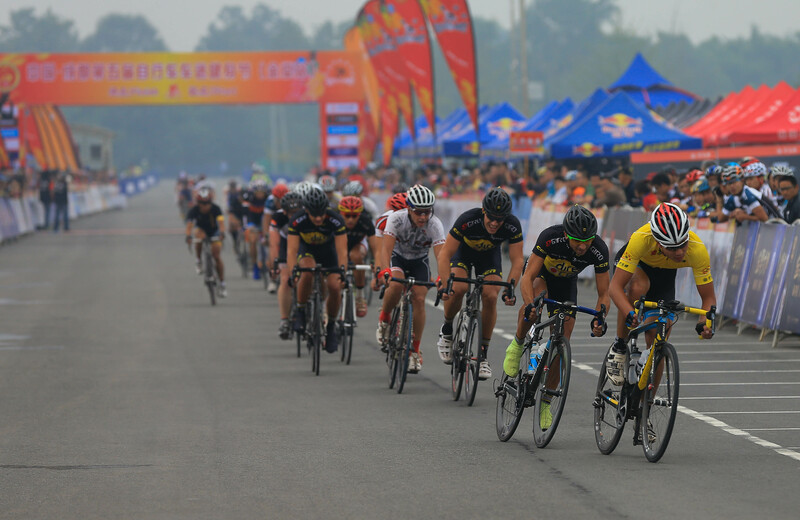 The growth of cycling in the Asia region has been phenomenal over the last few years, but I think the Philippines is one of the best countries to race in. 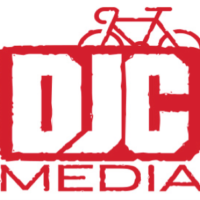 They have a humming cycling community and are leading the way for putting on stage races for amatuer road cyclists; something that many of us seek out to make a trip worthwhile. 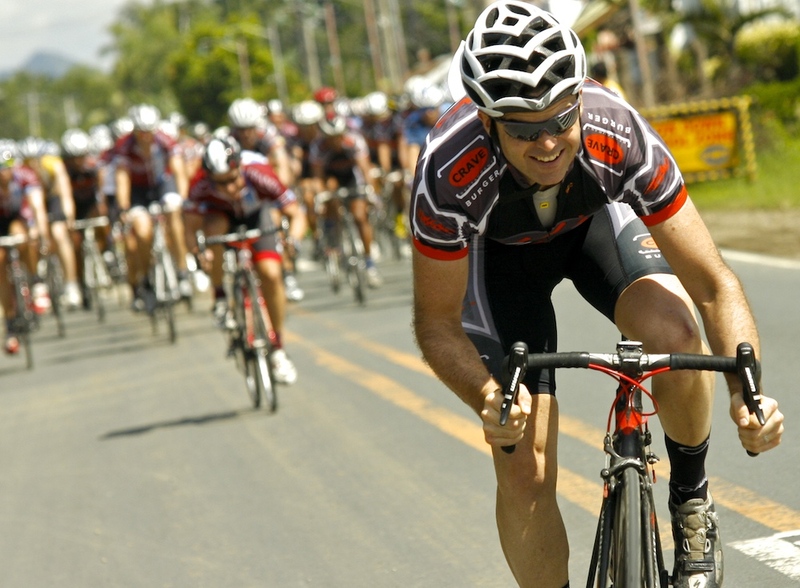 If you are a cyclist living in Asia, then a trip to the Philippines is a definite must. The people, the scenery and the racing was just high class. 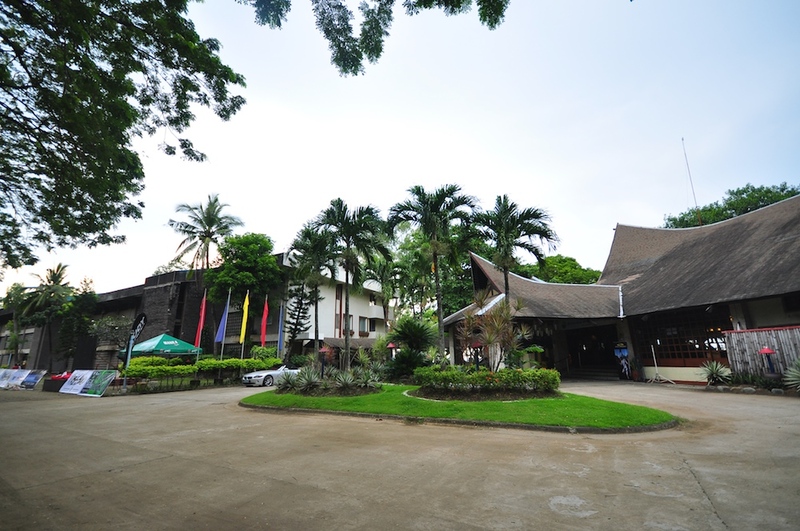 The food provided in the resorts was also excellent, although food in the Philippines can be quite bland and Jollibees is the national food. Plenty of fresh fruits like pineapple and mango was available and great for recovery foods. Riders checking out the scenery…. 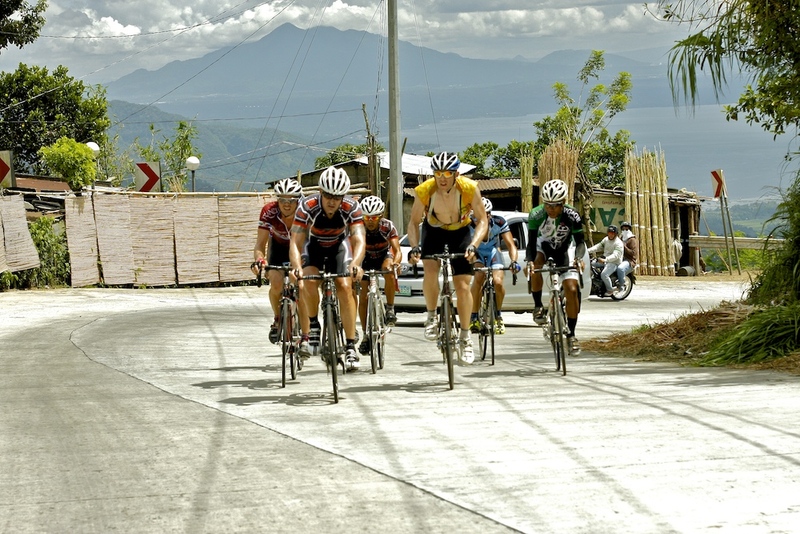 After a double-stage day the previous day we picked ourselves up to tackle the fantastic 120km route that was certainly the highlight of the Matabungkay Tour with some stunning scenery atop the 17km climb. Awesomastic views of the lake and tall volcanoes in the distance, that is if you were paying attention during the racing..
Once the neutral 18kms were completed, there was a flurry of attacks but nothing was sticking till one of the Filipinos took off solo – but even then the pack was reeling him back in. When there was a slight lull in the pace, I let out a guttural battle cry and unleashed my attack which was designed to 1. Provide comedy and 2. Hopefully intimidate and allow me to create the gap I needed. It worked. I was steam-rolling down the road at 55km/h and the Filipino rider that was about to be swallowed up immediately accelerated onto my wheel. However, my breakaway companion only did very weak pulls and when we hit the base of the main climb of the day, we had only a two minute advantage over the chasing peloton. I climbed at tempo pace, trying to go as fast as possible without going too deep. We still traded pulls on the climb and at about the halfway mark, a group of 10-12 riders led by Lee Rodgers pulled up to us. I jumped on with them no problem and went for several kilometers near the back. However, Lee Rodgers decided he wanted to attack. His surge opened up a gap in front of me and I did not have any legs to close it. This resulted in the group reducing to just seven riders and they rode away with the race. I was eventually caught by the second group about three kilometers from the summit. The moment when I attacked.. I knew that two of our team-mates (Mossimo) were up the road, including Lee Rodgers and the opposing team Franzia also had two riders in the breakaway. This meant that we had a chance to improve our team GC placing if it worked out. About 25-30kms from the finish, I started to do some attacks to see what would happen. I threw in a big one and this gave me a big gap and I checked back to see three riders chasing with another gap back to the rest of the group. I had them on the back foot. 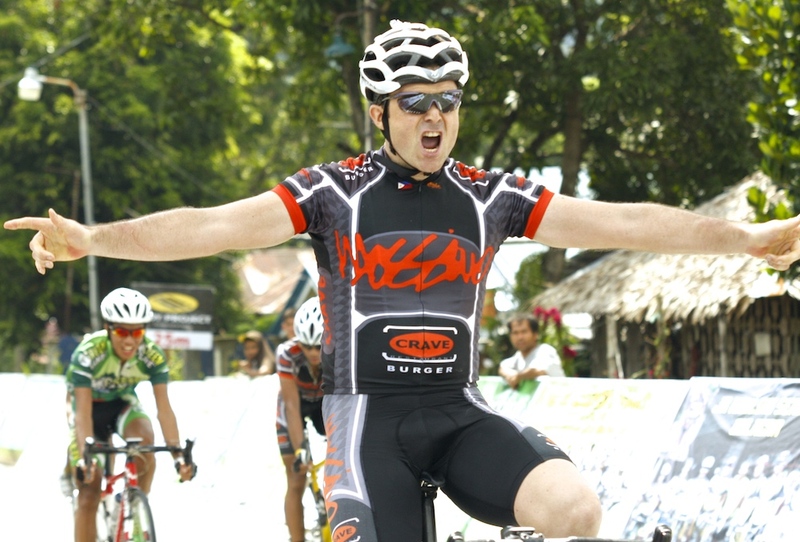 However, Pinpin, a strong Filipino rider for Franzia was slowly bringing me back. When the catch was made, one of my team-mates sailed out the front and I completely eased off the gas and yelled for him to keep going. I then focused on keeping second wheel the whole time, disrupting any chase effort Franzia might mount. It was surprising that they were not more aggressive. Our team-mate managed to finish nearly two minutes in front and thus winning the team GC for the stage and closing the gap to about three minutes behind Franzia overall. For those of you who know me, my forte is sprinting. So, at the end of the stage, I pulled off a good sprint to win 8th place. Not a win, but nonetheless I was still happy with it as it represented good calculation on my part to be the best of the second group. For the on-lookers it might have looked a tad strange that I was whooping and pumping my fists in the sky like I had won the race. It was just celebrating my inner victory. Nearing the top of the climb, about 1km from the finish, I put in a big attack that instantly got me a gap and two riders fought their way back to my wheel. One of those riders was Pinpin who was urging me to keep going at 500m to go. But I swung left across the road and stalled. I did not want to spend all of my matches and get swamped at the line. Matt Kinch from Franzia had been chasing hard at 52km/h to bridge the gap back to us and when he sailed by, I reaccelerated hard back into the slip stream of other riders. With about 200m to go, Kinch faded and I was able to burst out into the front and win the main group sprint quite easily. Next time, I have to be sprinting to win! 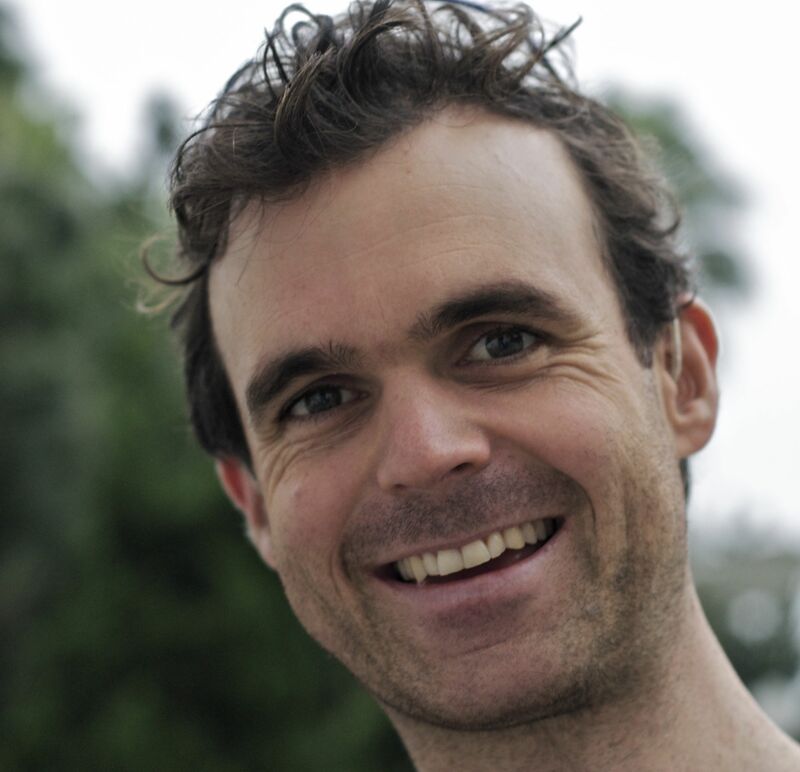 Lee Rodgers won the stage with yellow jersey, Colin Robertson back in 4th – 6 seconds. Robertson holds a small lead of 27 seconds over Rodgers. However, Robertson’s time trial skills are quite legendary and it will be a closely fought tour. My individual time trial report will be covered in my next blog post. Stay tuned. Photos kindly supplied by Jojo Rinoza. All photos by Jojo Rinoza.